It's not going to cost you a dime more and you're getting a crazy amount of extra content. This is the right way to fight used game sales. Game companies are doing what they can to deal with used game sales. They find ways to charge consumers just a bit more for their games by locking content for those that didn't pick up a brand new copy. 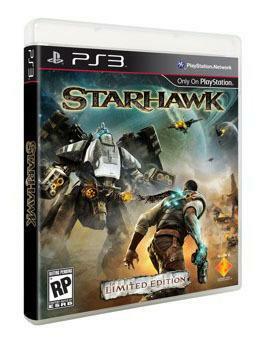 Instead of punishing the end user, 'Starhawk' will reward. If you buy the game new when it launches, you'll get a large amount of extra content absolutely free. It starts with the Maw of Despair Outcast Pack, which gives you a brand new co-op mission to play. That's the sort of content we'd expect to see in an ultra-expensive "Special Edition," all coming absolutely free with the first printing of the game.